4 great fishing locations in the U.S. If you ever run out of ideas when it comes to your next angling destination, perhaps you should check out the short list of great spots we’ve put together for you. Some of these have been sought after time and again, and not just because they can finally help you catch the trophy fish you’ve always dreamed of. Most of them are a sight for sore eyes, so you can take your family with you if they’re into nature and exploring. It really shouldn’t come as a surprise that Lake Tahoe is one of the favorite go-to destinations of anglers, hikers, and overall backpackers. The area is filled with breathtaking views that will leave a mark on you whether you like it or not. 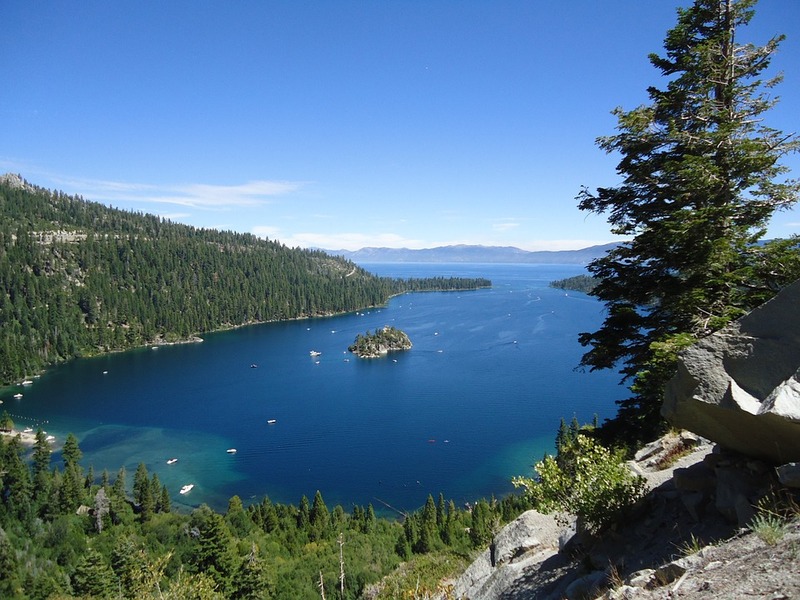 Lake Tahoe is also the 2nd deepest alpine lake in North America, as well as the largest one. Because it would be unfair to avoid telling you what you can get in your landing net if you go for this angling destination, we’ll share the secret. It appears that you can target a broad variety of fish in the lake, from salmon to brown trout or mackinaw to rainbow trout. Something that needs to be added in this respect is that the local regulations restrict fishers from catching more than five fish. If you have nothing against ice fishing, and we hope you do not, there’s a serious chance that you can get your hands on a fair share of yellow perch, walleye, or largemouth bass. All you have to do is set out for Lake of the Woods, in Northern Minnesota. In case you are having second thoughts due to never having been in the area or just because you hardly have any idea as to which lure you should use, we’ll put your mind at ease by telling you that there are many local guides that can be of assistance. Outer Banks is yet another popular destination among fishermen and women, and that’s because you can practice a broad variety of fishing techniques in this area. You can fish from anywhere; your boat, a pier, the shore. You name it; it’s likely that you can do it here. Here’s a great article that you can use to find out more about this spot and at least twenty others. According to this resource, headboat fishing seems a good idea in the area as these boats come with everything you might need, including snacks. One of the reasons we decided to include this place in our selection is that it has a wonderful biodiversity that anglers can take advantage of. In this location, you can target largemouth bass, muskies, and northern pike, and you don’t really have to make a significant effort to do all that. Plus, you might want to know that the muskies living in here can get as long as 60 inches or more.